During the winter, Japan receives massive amounts of snow, with parts of the country truly turning into a winter wonderland. Check out the prefectures that receive the highest amounts of snowfall! Hokkaido is probably one of the best-known parts of Japan for snow, although it's not even the prefecture that receives the highest amount of snowfall. This is partly because of the wind patterns, especially around the coastal regions. That said, it does receive on average 3.83 meters (12.56 ft) of snow each year. Aomori Prefecture in the Tohoku region is most famous for its delicious apples, Nebuta Matsuri, and abundant snowfall. The prefecture gets an average snowfall each year of 4.09 meters (13.41 ft), making it a true winter wonderland. Gifu is home to the UNESCO World Heritage site Shirakawa-go. This is a particularly popular tourist attraction during the winter, when the region's distinctive gassho-zukuri houses are covered in a blanket of snow. The average snowfall for the prefecture is 4.16 meters (13.65 ft)! Nagano is a famous winter destination featuring ski resorts, frozen waterfalls and picturesque, outdoor hot springs surrounded by snow. 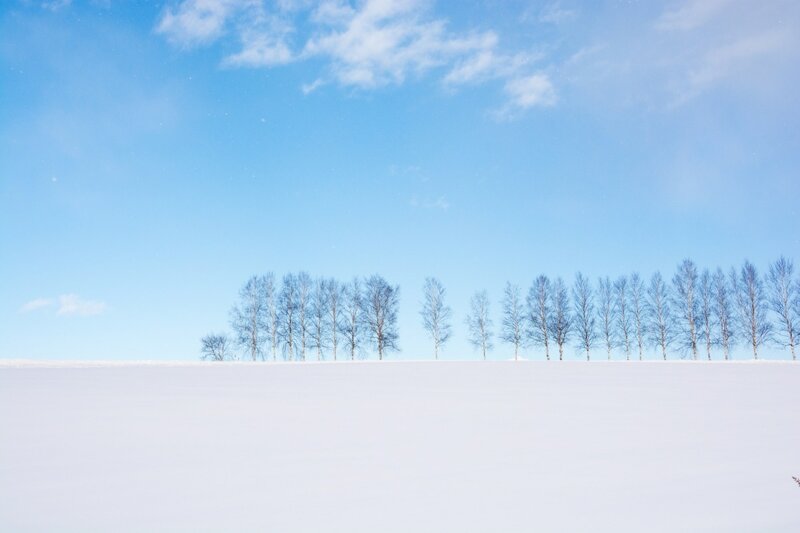 The average snowfall Nagano receives is 4.23 meters (13.9 ft). Fukushima Prefecture turns into a beautiful, snowy paradise during the winter, especially at the Goshiki-numa Ponds, which dramatically change color with the position of the sun, creating a particularly picturesque landscape when surrounded by snow. The average snowfall for Fukushima is 4.75 meters (15.6 ft). The snowfall is so high in Akita Prefecture that simply keeping the roads clear creates some pretty impressive snow carvings. The average for the prefecture is 5.32 meters (17.45 ft), but some places receive as much as 7 meters (a little less than 23 ft)! Parts of Niigata Prefecture receive up to 8 meters (26.25 ft) of snow; the prefectural average is 5.78 meters (almost 19 ft). The city of Tsunan sometimes can get 10 meters (32.8 ft) of snow, literally covering the entire town! Yamagata Prefecture gets a whopping 6.36 meters (20.8 ft) of snow on average, and up to 11 meters (a little over 36 ft) in some spots. 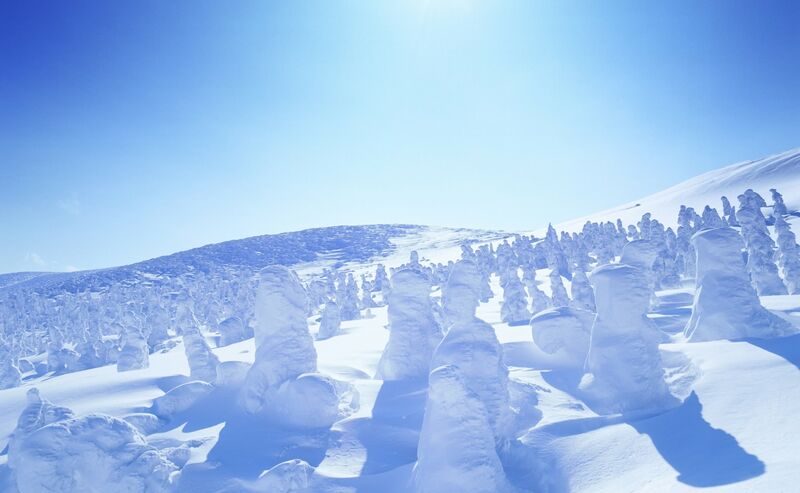 Famous sites including the "Ice Monsters" of Mount Zao are located in Yamagata Prefecture (along the border with Miyagi Prefecture). These Ice Monsters are natural snow and ice sculptures built by the wind and the trees! In Tokyo since 2006—haven't stopped exploring Japan since!